What is Real Financial Planning? I became a financial planner in 1992. I was inspired by my parents' hard work, watching them make ends meet while growing up in our blue collar, middle-class Atlanta neighborhood. I have always tried to help others, and now as a financial planner, I strive to help people make the most of their lives and relationships through personalized financial planning. When people ask me what I do, I tell them I help clients align their money with their life's goals. I call it ‘real financial planning’ because it’s a straight-forward approach that aims to keep things simple. In my opinion, planning for your future shouldn't be complicated; it just requires some common sense. My financial plans are goal-centered—built specifically for each client’s unique situation, issues, and needs. Most of my clients want help figuring out if what they’re doing will get them where they want to go. I take the time to consider a client’s entire situation, working with them step-by-step to make positive changes towards their financial goals. We address potential blind spots, and leverage technology to help keep things streamlined and efficient. I’ve been helping people organize and oversee their financial lives for 25 years now, and I love what I do. 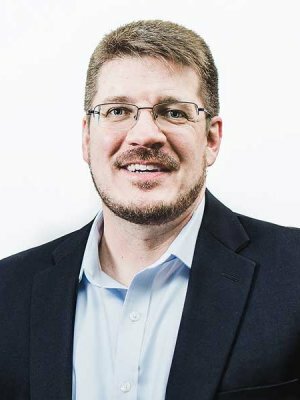 In 2015, I joined Integrated Financial Group (IFG), a consortium of independent LPL financial planners based in Atlanta. We call ourselves the Brain Trust, because we believe that many minds are better than one when it comes to financial planning. By affiliating with IFG, I have remained truly independent as a planner, and can tailor strategies seeking to build, protect, and transfer wealth in a tax-advantaged way. My affiliation with this professional group is invaluable; it gives me access to a network of talented, like-minded peers who share strategies, best practices and advice. My clients benefit from the collective expertise of the Brain Trust in addition to my own personal ‘real financial planning’ approach. When I’m not working with clients, I’m with my family. I love spending time with my sons in Boy Scouts, and mentor other Scouts as well. Together with my wife Janine, the Tarrant Clan likes to travel and share new experiences, whether its in the mountains or on the beach. I personally enjoy volunteering in my community, church work, mission trips, family movie nights, sports, and model railroading. Whether you’re a pharmacist looking for strategic planning advice from someone who understands your profession, a business owner who wants to plan ahead, or a family ready to invest in the future, my staff and I offer real, comprehensive financial planning for real people just like you. Contact me any time—I look forward to speaking with you. 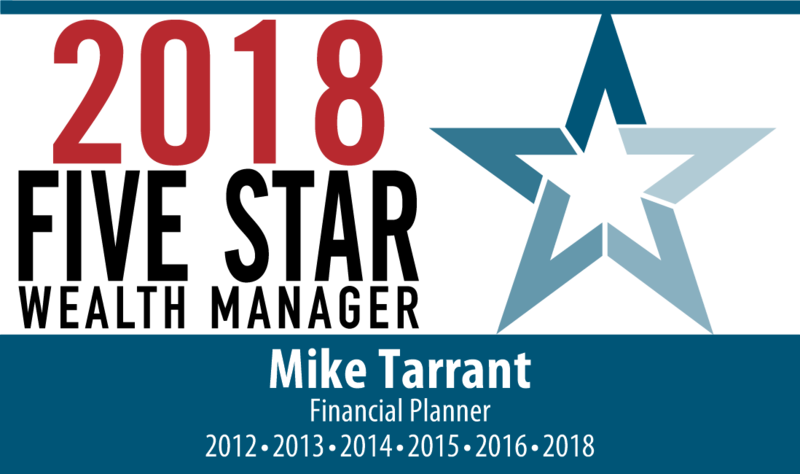 Mike Tarrant, CFP® | Real Financial Planning For Real People. The Five Star Award is based on 10 objective criteria associated with providing quality services to clients such as credentials, experience, and assets under management among other factors. Wealth managers do not pay a fee to be considered or placed on the final list of 2012-2016, 2018 Five Star Wealth Managers. © 2019 Mike Tarrant. All rights reserved.